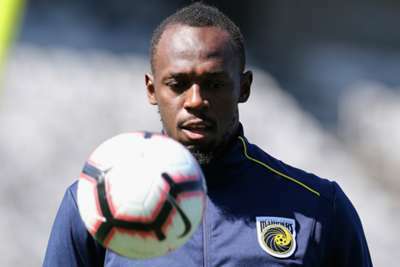 Sprint king and eight-time Olympic champion Usain Bolt said he will prove people wrong after the Central Coast Mariners trialist trained for the first time on Tuesday in his bid to earn a football contract. Bolt dominated the athletics track and the Jamaican great is now trying to fulfil his dream of becoming a professional footballer having linked up with A-League outfit the Mariners for an "indefinite" trial. The Australian public got their first glimpse of Bolt training in Gosford, where the 32-year-old - who previously spent time with Bundesliga giants Borussia Dortmund, Mamelodi Sundowns and Stromsgodset after retiring from athletics in 2017 - took part in a brief session. After touching down in Australia on Saturday, Bolt - wearing gloves and a jumper under the New South Wales sun - did some light stretching and jogging before a 15-minute passing drill under the eyes of Mariners head coach Mike Mulvey. Speaking to the media afterwards, Bolt - who revealed he turned down offers from Spain and France due to the language barrier - told reporters: "It's just like track and field, the first day of training's always the roughest one … but it felt OK.
"I'm not setting myself any targets … I'm just going to put in the work. I don't know what to expect so I'm just here to push myself, learn as much as possible. For me it's a blank slate. I'm here to learn and get better, that's my focus." "Today was good, we're taking it a step at a time, working on fitness, level by level, day by day," he added. "As long as you get fit in football it's relatively easy. That's how I look at it, I don't know yet. "I've seen as long as you are fit it's relatively easy with the running. As long as I get my body in shape and get some mileage [into my legs] I should be fine." "I'm very cool under pressure, that's one thing," Bolt said. "My ability to understand very quickly and learn the game is very good. "I've expressed that I'm okay on the wing, I'm good at centre forward but at the end of the day he [the coach] will tell me what formation and where I'll play. "I don't want to be treated as the world's fastest man, I want to be treated as a footballer because that’s what I want to be. People will say a lot of things about me, but I'll prove them wrong."
. @usainbolt's training with @CCMariners is underway! Mulvey added: "We don't have to make a decision tomorrow or the next day. We're absolutely delighted he has chosen our club, this great community in Central Coast, to further his ambition. "If it takes 12 months, I'm happy for him to be here. He has already brought the biggest media throng to this area. The highlight and spotlight is on Central Coast. It's fantastic and fine with me. 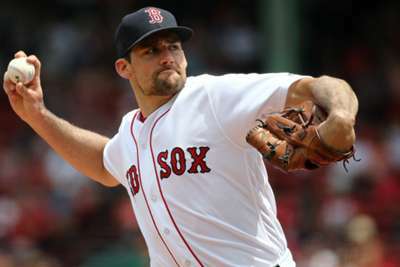 Maybe on the 31st, we have a game here, he will be ready for that."